The Elecraft KX3 is the consummate portable HF transceiver whose minimalist form-factor places global communication into the palm of your hand. The KX3 is unequaled in its features per unit of size. From its launch this premier software defined radio has continually evolved to meet the needs of the amateur community. 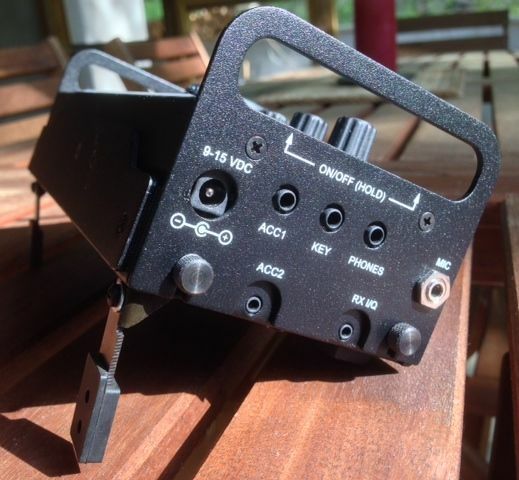 In response to the expressed needs of the community, Elecraft have released updates to improve KX3s digital capabilities and have boosted the output power on some bands. The engineers have addressed the additional cooling needs that the new output power levels impose by supplying a larger cooling plate with new delivered rigs, and making them available for purchase for the existing customer base. The factory supplied heat sinks provide improved cooling to allow conservative utilization of the rig’s impressive capabilities. In order to exploit the full potential of the KX3 additional cooling is beneficial to enhance frequency stability, component life, and to avoid nuisance automatic power roll back or shut down. To this end we designed additional passive cooling in the form of a replacement heatsink. The Cooler KX™ heat sinks provide added cooling to enable extended full power key down cycles in FM, AM, CW, and evolving digital modes. Cooler KX™ heat sinks really unleash the capability and are ready for the recently increased power output. If your KX3 is your back up or part-time rig, or you are a casual operator or if you only use your KX3 as the exciter for the Elecraft KPA100 integrated amplifier then you might not need additional cooling. If you use the KX3 to excite the amazing Elecraft KPA500 amplifer, as I do, you will certainly do your rig a favor with more powerful passive cooling, as you increase its output up to 15 watts drive. 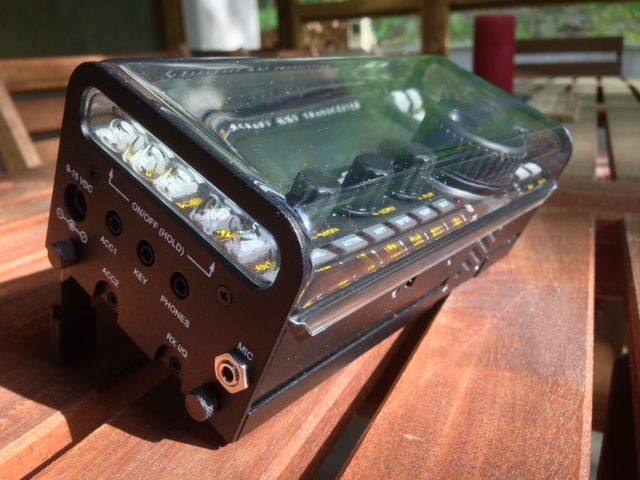 If your KX3 is your primary station rig, if you contest at QRP levels, if you are an advanced CW or PSK operator; any time you intend to be able to operate prolonged full power as in emergencies and under poor propagation conditions you will most certainly benefit from the additional cooling provided by a Cooler KX Plus™ heatsink. If YOU want to be able to choose the band, mode, power level, and any expedient antenna, order your Cooler KX Plus™ heat sink today! An independent engineering evaluation has concluded that the top-performing aftermarket KX3 heatsink is the Cooler KX Plus™. (The Cooler KX Plus™ placed first, while the Cooler KX Lite™ tied for second place.) The Cooler KX Plus™ is protected from the elements by a Mil-Spec Chromate undercoating, and a high temperature baked on top coating . Illustrated step-by-step instructions make installation quick and easy; no messy thermal grease or tedious paint removal are necessary. Premium stainless steel mounting hardware (two Keps nuts and four socket-head screws) is included. Both Cooler KX™ models are mechanically compatible with the two Side KX accessories, i.e. end plate handles and polycarbonate cover. In theory, upgrading the KX3’s factory-supplied heatsink should nearly double its operating life, although the exact benefit depends on which heatsink you choose, and how hard you push the finals. On the flip side, in practice upgrading the heatsink can also more than double the transmitter’s high-duty-cycle max output power capability. Elecraft is a registered trademark of Elecraft, Inc.